Icom radio makes a lot of communications equipment such as avionics communications , marine communications , communications receivers , and of course amateur radio equipment . Icom is considered to be one of the big three of amateur radio communications equipment suppliers. 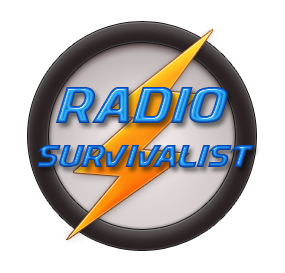 In regards to the needs of preppers and survivalists the equipment Icom makes for avionics and marine use will not be covered on this page. Icom radio manufactures HF communications gear, mobile and handheld communications gear, satellite communications gear, D-STAR communications gear, as well as amplifiers for the ham bands. Granted not all of the equipment that Icom makes will appeal to that of emergency communications such as when the SHTF. The items discussed below have far too much information available for us include on this page. Therefore you are encouraged to visit their website at http://icomamerica.com for more information. Icom has such a large selection of HF equipment available. So we will only look at HF transceivers that will appeal to the needs of those needing it for prepping and or survivalist situations. There are really only two models of Icom’s HF transceivers that would be good for portable operations. Really and truly there’s only one HF transceiver suitable for this type of work. The IC-7100 is a good unit for communications such as mobile or portable work. It is also good for the base unit. But its price would make it rather unattractive when it comes to SHTF equipment. Now the IC-718 is a good choice for these kinds of scenarios. Don’t let anyone kid you; the IC-718 is a versatile, tough little transceiver. They sell brand new for less than $600, used you can find them around $350. As with most modern day ham radio equipment, the HF bands that is, the IC-718 (or just 718 as is known by) has a built in general coverage receiver. The 718 covers all of the HF bands from 160 m to 10 m. You can modify the 718 to work on 60 m as well. The rig puts out of to 100 W, 30 W on AM. It runs on 12 volts so you can run it off of a battery, a nearby vehicle, or from a power supply. Or you could run it off of a solar power source but that is also a bit of overkill for survivalists. The 718 operates on sideband, CW, AM, and RTTY modes. The 718 is a great rig for running on the digital modes, such as PSK/HELL/HELL/OLIVIA which would help when propagation is poor. The additional benefit of the 718 is its small size, the last thing you need is a radio that’s too large. The IC-718 is a radio currently in production that would be suitable for portable radio communications. There are some detractors to using the IC-718 due it being billed as an “entry level” radio. All that is needed in portable communications is a good receiver and features that the operator needs and nothing more. The IC-718 is small in form, compared to the rest of the current line of Icom transceivers. There are two popular Icom transceivers that are very suitable for portable communications but they are no longer in production. They are the IC-703 and the IC-706, they are available for purchase used in hamfests, eBay, and other sources. One should be careful when buying used amateur radio transceivers because you never know the abuse people submit those radios to. Read a short article about the Icom IC-703 radio.